Jason's last foray in New York was quite eventful, but unfortunately ended with him drowning in toxic waste and then turning back into his younger self. Everyone should give Jason another chance to enter New York once again and try to track down the last graduating class of Crystal Lake High. Well, this Friday you can do just that. 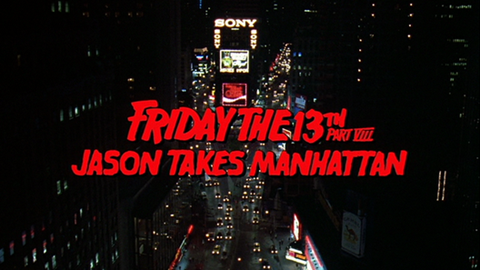 This Friday night, November 18th, there will be a special midnight showing of Friday The 13th Part 8: Jason Takes Manhattan at the Sunshine Cinema in New York. If you're in New York this Friday, stop by and watch Jason Voorhees jam with J.J. in the power room!